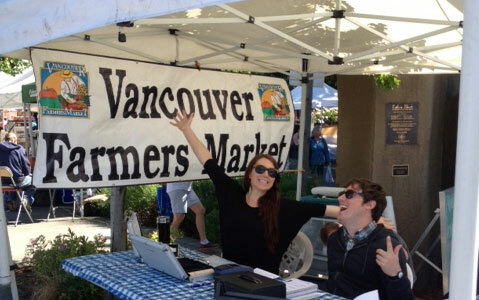 Thank you for your interest in volunteering with the Vancouver Farmers Market. We are dedicated to cultivating an intentional program to provide meaningful (and fun!) experiences for our volunteers while also serving the market, its vendors, and the Clark County community. The VFM is more than just a marketplace, it is a meeting place for friends and neighbors, a hub for community resources, and an opportunity for customers to meet the people growing and preparing their food. Becoming a volunteer at the Vancouver Farmers market means supporting your community and neighbors, promoting the development of Vancouver, and becoming an advocate for our local economy and food system. Please do not hesitate to contact the Volunteer Coordinator at [hidden email] or (360) 737-8298. For more DETAILED information check out our volunteer packet. You can also read more about various volunteer opportunities and look up your question in the FAQ. Click here for the secure Google Form: Fill out an application. More information and downloads are available in the Volunteer Tool Kit.